...get managed services from IT and Telecoms professionals. 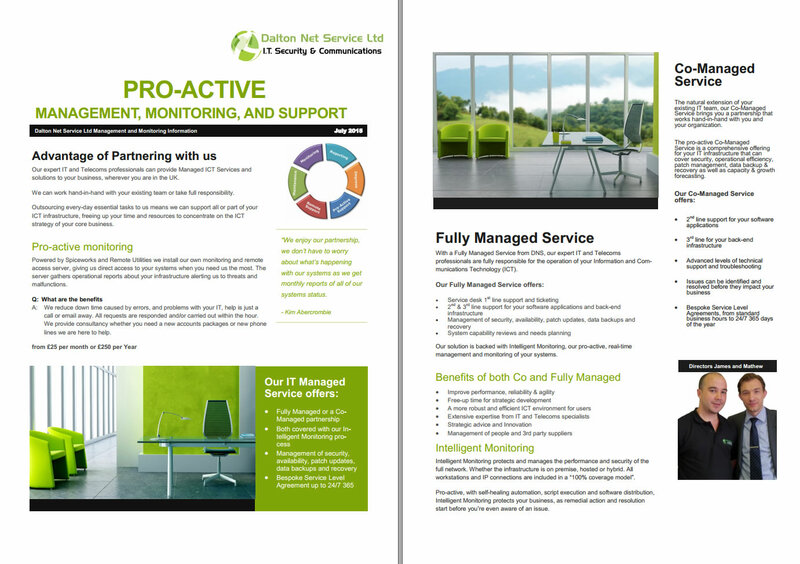 Offering Fully Managed Services from Dalton Net Service, our expert IT and Telecoms professionals are fully responsible for the operation of your Information and Communications Technology (ICT). 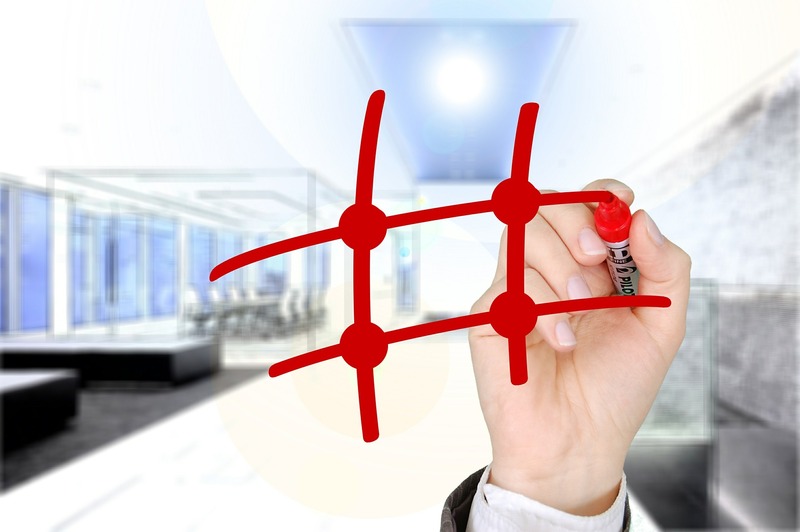 Our solution is backed with Intelligent Monitoring, our pro-active, real-time management and monitoring of your systems. Intelligent Monitoring protects and manages the performance and security of the full network. Whether the infrastructure is on premise, hosted or hybrid. 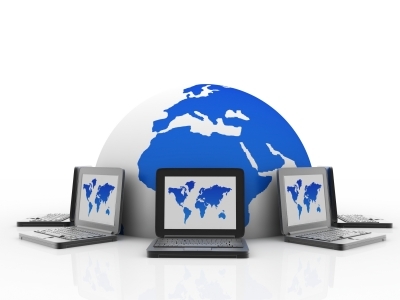 All workstations and IP connections are included in a “100% coverage model”. Pro-active, with self-healing automation, script execution and software distribution, Intelligent Monitoring protects your business, as remedial action and resolution start before you’re even aware of an issue. 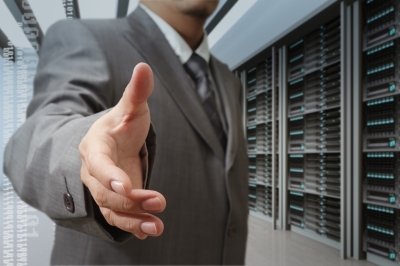 The natural extension of your existing IT team, our Co-Managed Services brings you a partnership that works hand-in-hand with you and your organization. The pro-active Co-Managed Services is a comprehensive offering for your IT infrastructure that can cover security, operational efficiency, patch management, data backup & recovery as well as capacity & growth forecasting.